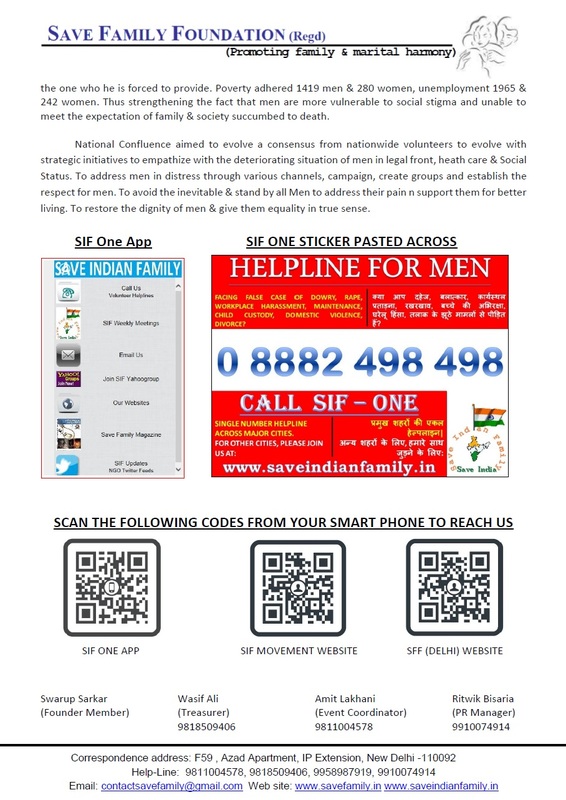 Vaastav Foundation, the NGO spearheading the Men's Rights Activities in Western India is organizing the 7th National meet for Men's Rights under Save Indian Family Banner. 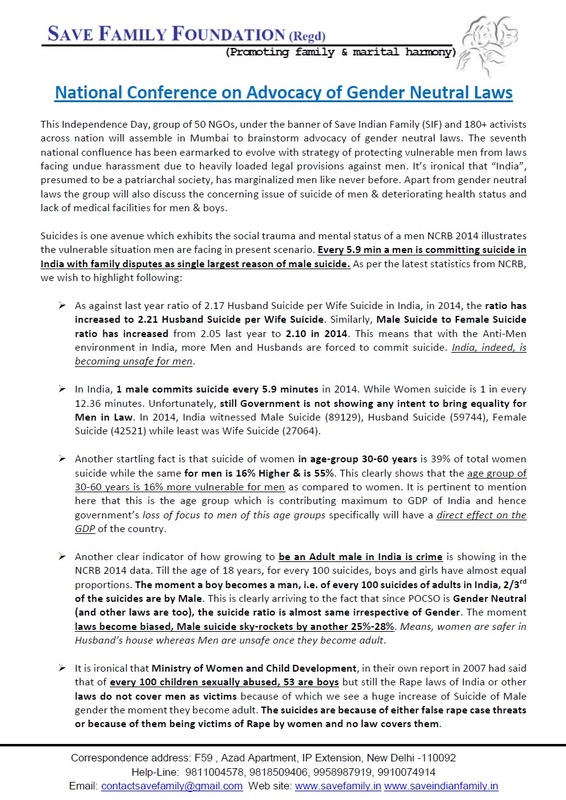 Details of the meet can be found here. 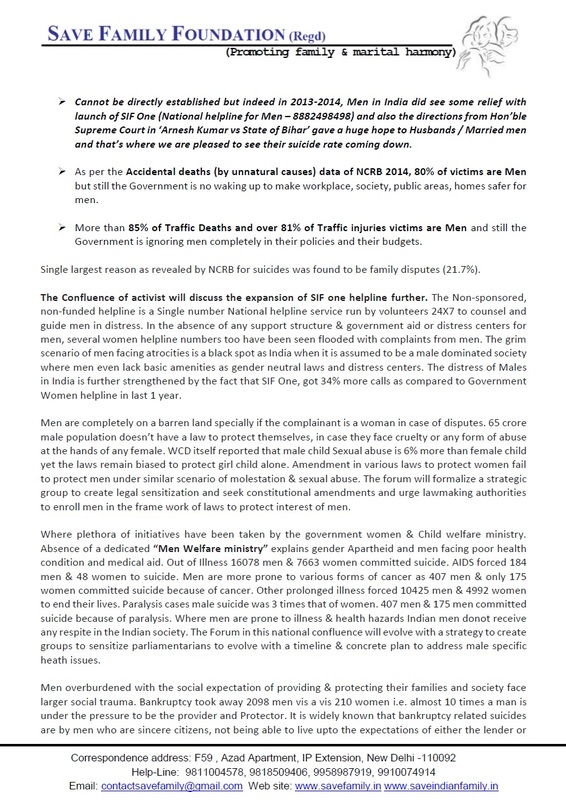 SIF hereby issues the Press Release for the meet and the dire need of Ministry of Men, in absence of which, Laws-Society-Courts-System are all turning Anti Male.